With so many amazing women eligible for Emmy nominations this year, it was the television academy's chance to recognize that talent. And when the 66th Emmy Awards nominations were announced Thursday morning, it seems like they followed through. This was a big year for ladies on the small screen, after all. Orange Is the New Black Season 2 blew fans away and made a real name for itself and thrust its amazing cast of diverse women into the spotlight. With over 10 nominations this year, OITNB really has a shot at bringing home a lot of trophies. But what about other female-driven shows? Over on network TV, The Mindy Project charmed us all season and the effervescent Mindy Lahiri kept things real. After all of Mindy Kaling's years acting in and writing for television (hello, The Office?) she deserved a nod from the industry, yet, she was snubbed. A double shame, considering she was the one presenting the nominations. It must have been hard to read out the nominations in your category, and realize your name is not on the list. And let's not forget BBC's Tatiana Maslany in Orphan Black, where the talented actress plays not one, but seven characters. She was snubbed last year, and she was snubbed again. What's up with that, Emmys? Don't get me wrong, seeing Orange Is the New Black nab an Outstanding Comedy Series bid is great. That cast definitely deserves recognition. And seeing the amazing actresses behind American Horror Story: Coven get nominated for Outstanding Miniseries is awesome, too. But the Emmys skipped over some other great shows that have strong female roles in them, as well. Instead of recognizing comedy shows like Parks and Recreation and Mindy Project, the bids went the traditional route with shows like Modern Family, Louie, and The Big Bang Theory. Not that those shows aren't great, (with the exception of TBBT ), but it would've been nice to see either Parks or Mindy get a nod. 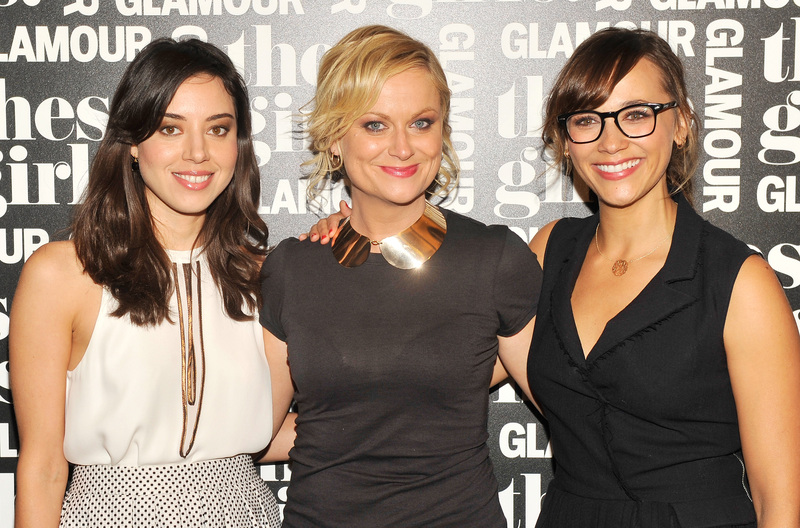 And yes, Amy Poehler was recognized with a Lead Actress nomination, but the show's other fierce women Aubrey Plaza, Rashida Jones, and Rhetta deserve to be a part of that. Not a lot of shows depict an ambitious woman as a good thing, but Parks and Rec is one of them. And fine, I can get over the fact that Mindy Project wasn't nominated for best comedy series, but Kaling's comedy writing skills should have merited a bid in a category with only only one female nominee (Liz Friedman for OITNB). And what more does Orphan Black's Tatiana Maslany have to do? She is literally half of that show's entire cast. But there was no mention of her at all. And as Kelsea Stahler points out, Martin Freeman's Fargo nabbed bids, but their female lead did not. "The woman who held the entire show together, Allison Tolman’s Molly Solverson, didn’t seem to strike the fancy of Emmy voters," she writes. Look, I appreciate OITNB getting the love it deserves, but I still think the Emmys could have done better when it came to women. Nominating one show doesn't fix a larger problem.